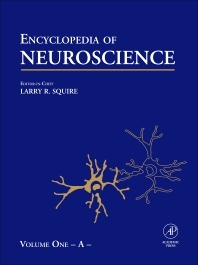 The Encyclopedia of the Neuroscience explores all areas of the discipline in its focused entries on a wide variety of topics in neurology, neurosurgery, psychiatry and other related areas of neuroscience. Each article is written by an expert in that specific domain and peer reviewed by the advisory board before acceptance into the encyclopedia. Each article contains a glossary, introduction, a reference section, and cross-references to other related encyclopedia articles. Written at a level suitable for university undergraduates, the breadth and depth of coverage will appeal beyond undergraduates to professionals and academics in related fields. Larry R. Squire is Distinguished Professor of Psychiatry, Neurosciences, and Psychology at the University of California, San Diego. He is also a Research Career Scientist at the Veterans Affairs Medical Center in San Diego. Squire is a member of the National Academy of Sciences and a past president of the Society for Neuroscience.